CC Gluten Freed is a blog about living gluten-free. This blog offers insight into the social aspects of following a gluten-free diet, reviews restaurants and products, and features gluten-free recipes. 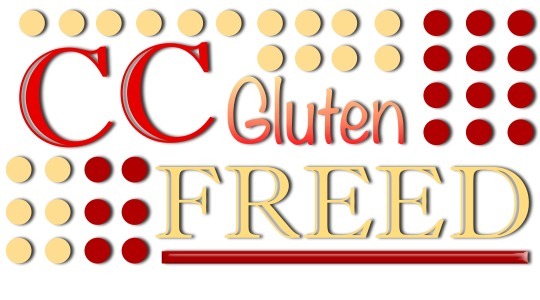 CC Gluten Freed highlights ways that you can make a difference in the gluten-free community. On this site, you will find sample letters to restaurant managers and owners that you can use to advocate for change at your favorite restaurants. CC Gluten Freed seeks to empower readers to take ownership of their lifestyle. It is time to put your health first and learn how to effectively advocate for yourself. My daughter and I met your dad at the convention yesterday. You really should sell your shirts! I LOVE the drawing!! I will look into having shirts available! Im glad you like the logo. My grandpa drew/created it for me for christmas. I guess that is one of the perks of having a cartoonist in the family. I’ll let you know when I get shirts up on the website. I hope you had a great time at the conference! I know I did. My son passed along your blog to me he is a senior at Berkeley and is teaching a class on Celiac and Gluten Sensitivity. Although he dosnt have issues with gluten I and his grandmother have Celiac and his younger brother is gluten senstive. I enjoyed your blog and look forward to more. My website is bodyfoodconnection. Or email katrinamrubin@gmail.com. I really enjoy your blog! I thought you might be interested in checking out my friend’s business, The Nourishing Well. She has over 40 years experience cooking organic, healthy and most importantly, delicious food for a variety of food allergies, including Gluten Allergies. She posts 2 free recipes every Thursday on her site here http://thenourishingwell.com/recipes/ Many of the recipes are Gluten Free and if they aren’t, she usually provides an alternative ingredient to make it Gluten Free. Her food is really good! Try one of her recipes and let me know what you think! Thanks for all that you are doing for the Gluten-Free/Celiacs community! useful and it has helped me out loads. I’m hoping to give a contribution & help other customers like its helped me.